Ethernet is the monicker of Tim Gray and this is his second release on the excellent Kranky record label. Opus 2 is the follow up to 144 Pulsations of Light. This ambient/electronic/drone artist produces a real dark atmospheric type sound with a nice beat that is way back in the sound mix. I find this genre of music compelling listening and this album has been on at least once a day for the past few weeks. I find it very fulfilling and I always seem to detect other sounds or weird melodies within the drones. 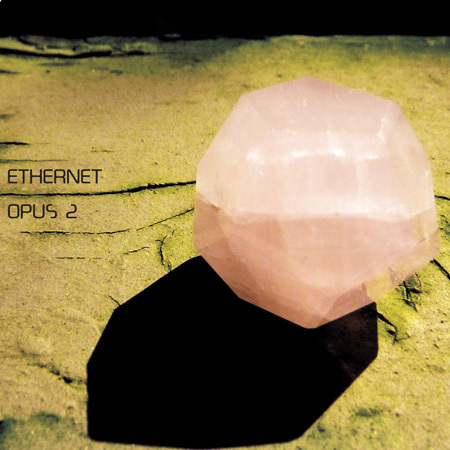 Ethernet is not an artists to uplift your spirits, and it wont put the spirits totally down either. It is music that you can listen to in the background, but I prefer to listen on headphones and that way you can feel enveloped by the sounds that he is creating. This music was created by Ethernet between late night shifts providing technical support for hospital operating rooms. Maybe that explains why the music is more dark than light. It is not often that this genre of music ends up as my record of the week, but this is an outstanding release by an outstanding artist. Developing on the trance-induction and brainwave entrainment techniques explored on the firstEthernet album 144 Pulsations of Light, Opus 2 moves into deeper, more introspective and emotive territory. A stronger focus on melody and harmonic structure results in pieces that almost approach, but never quite arrive at, traditional song forms, while still leaving much to the imagination of the listener, evading mental categorization and revealing new sonic experiences with each listen. The bulk of recording took place during the darkest months of winter in the Pacific Northwest, between late-night shifts providing technical support for hospital operating rooms. The pieces on the album each formed gradually and spontaneously during extended improvised sonic meditations as part of the composer’s own trancework (or self-hypnosis) practice, this in an effort to remove specific compositional intention from the process, instead just allowing them to “happen”. If 144 Pulsations… was about expansion of awareness and opening to the light that surrounds us,Opus 2 is intended to induce inner contemplation and internalized focus on the light within us. It is also a statement on the gradual darkening and inexorable decay of our modern world, and the need to look within to find true support and sustenance from one’s own energetic source. Patience and perseverance. This entry was posted on January 30, 2013, 9:17 pm and is filed under Playlists. You can follow any responses to this entry through RSS 2.0. You can leave a response, or trackback from your own site.